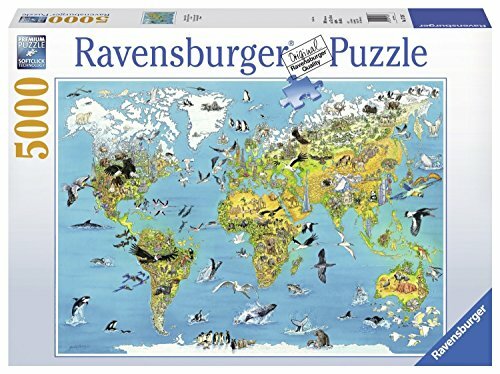 Challenging extra large jigsaw puzzles are an awesome pastime. 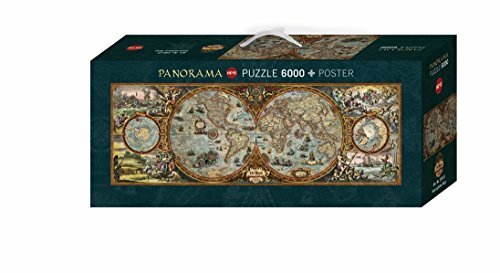 They also make the perfect gift for an avid jigsaw puzzler. 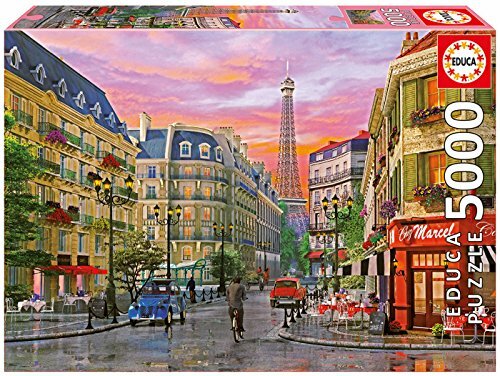 These extra large jigsaw puzzles are generally not for the faint-hearted and usually are jigsaw puzzles that are made up of 3,000 jigsaw pieces, 14,000 jigsaw pieces and 24,000 pieces. 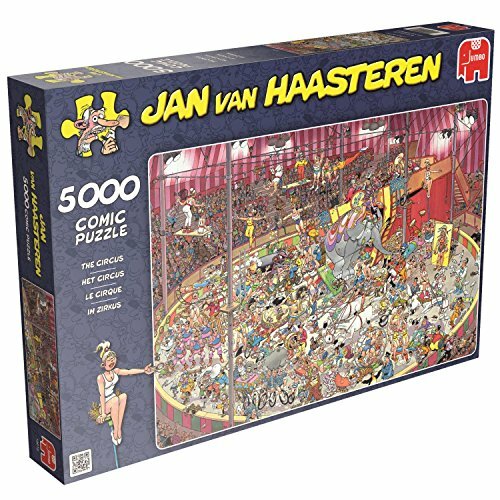 There are some GIANT jigsaw puzzles that range from 18,000 jigsaw pieces all the way to a whopping 40,320 jigsaw pieces. 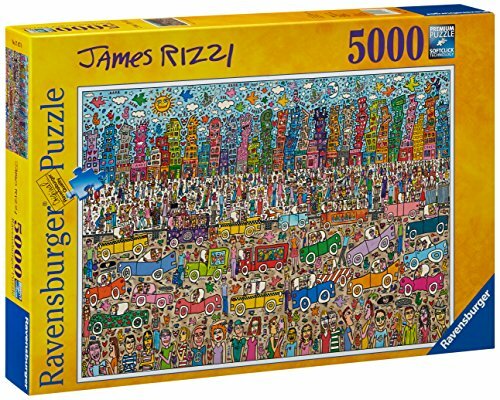 Three to Five thousand or more piece jigsaw puzzles really are a huge challenge for even the most passionate jigsaw puzzle fan. 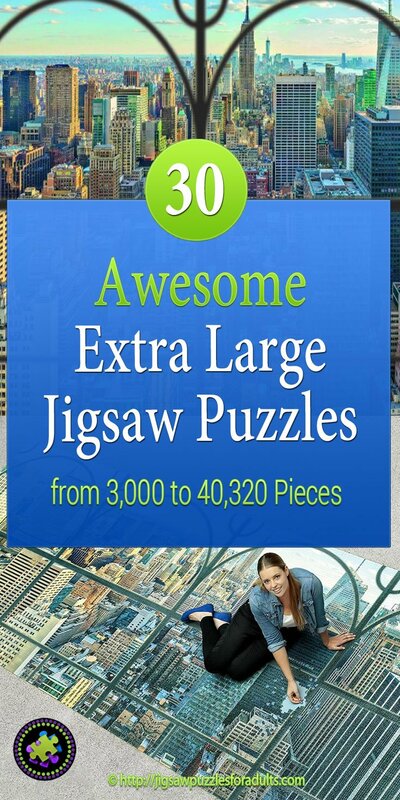 If you are contemplating trying any of these extra large jigsaw puzzles you’re going to need an oversized folding table plus a little bit of time, of course. 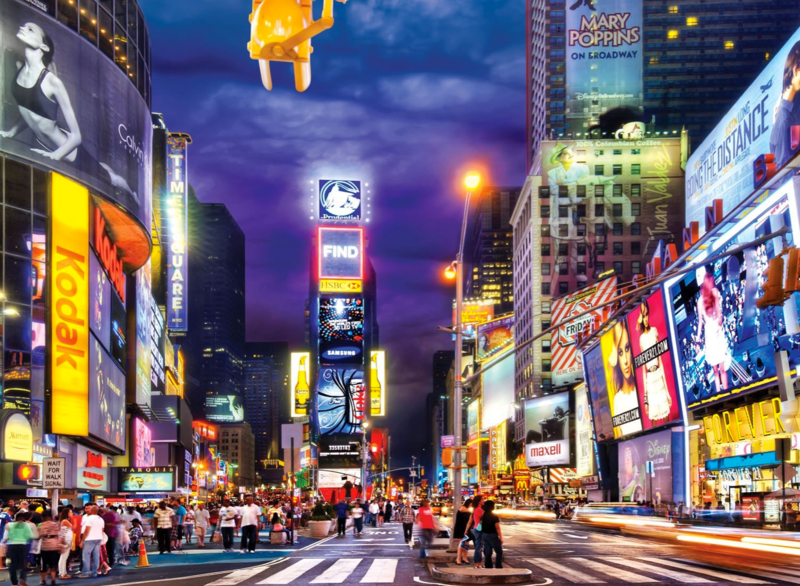 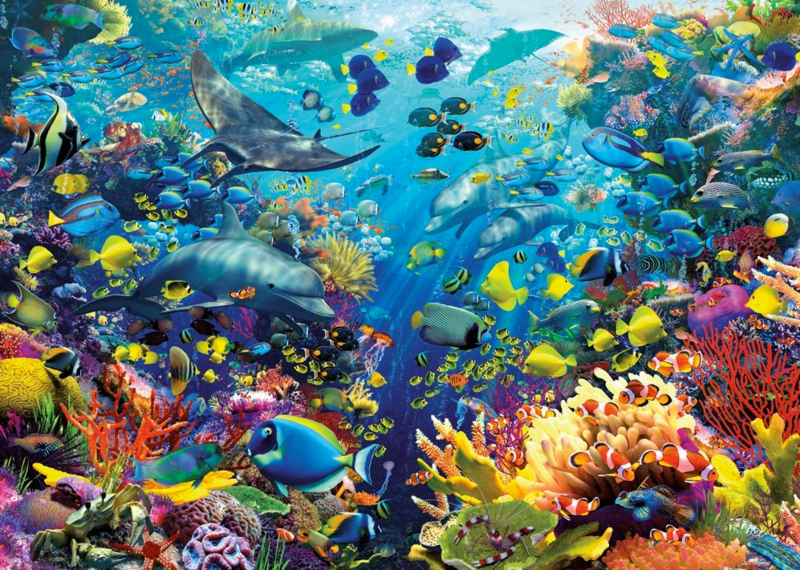 However, the fun of watching an enormous picture piece together right before your eyes is absolutely gratifying. 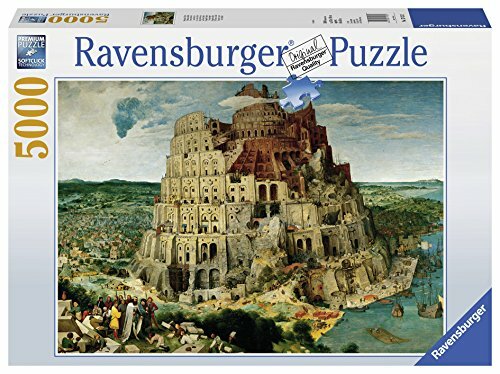 A very current development in the jigsaw market happens to be the 32,000 piece jigsaw puzzle however, there’s an even larger puzzle that is now available from Ravensburger that has 40,320 jigsaw pieces and measures 22 feet 3 inches by 6 feet 2 inches . 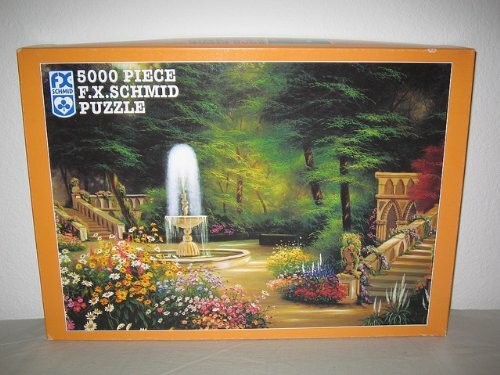 However, the overall amount of space needed for a puzzle of this size is significant. 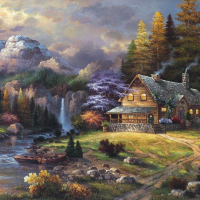 Extra large jigsaw puzzles can easily be a wee bit intimidating or overwhelming therefore, you should work your way up to doing a jigsaw puzzle of this proportion at a gradual pace. However, if you are a skilled jigsaw puzzler and looking for a more challenging jigsaw puzzle and also have the space than you really ought to have a look through the amazing selection of super extra large jigsaw puzzles below. 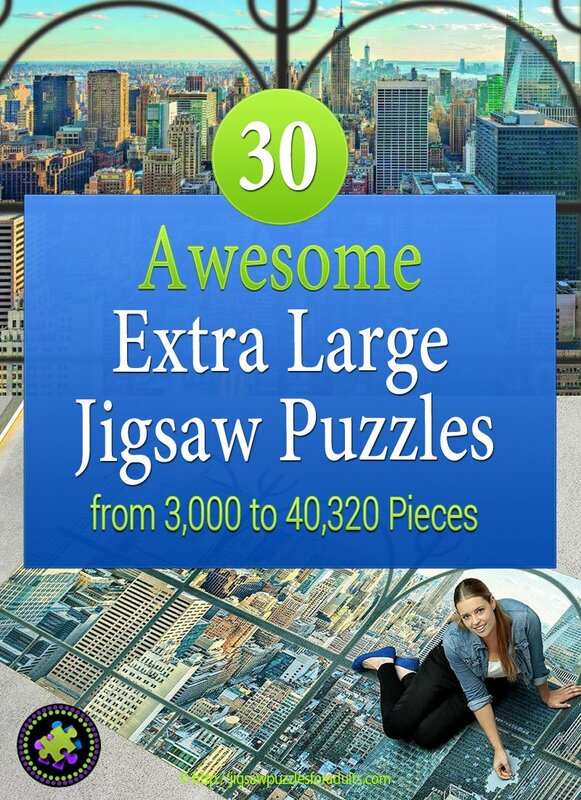 Would You Like to Know More About These Extra Large Jigsaw Puzzles? 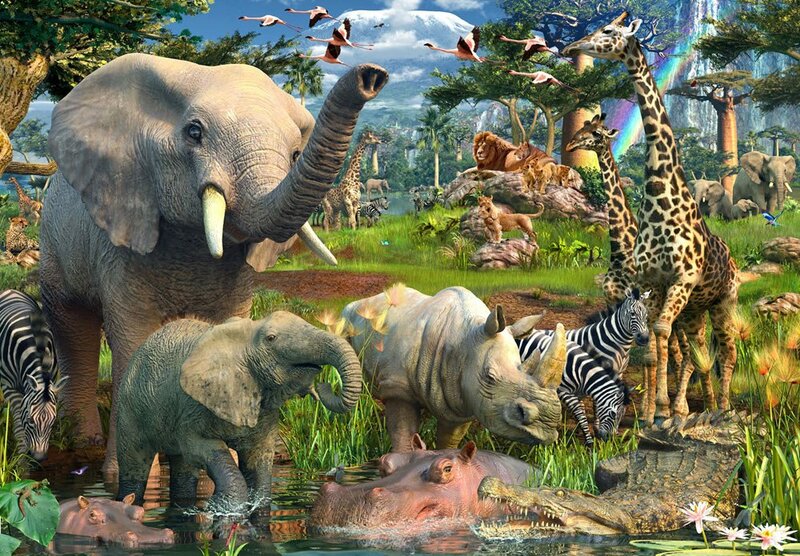 You’ll get an intimate look at the African Savannah wildlife with the Ravensburger At the Waterhole Puzzle. 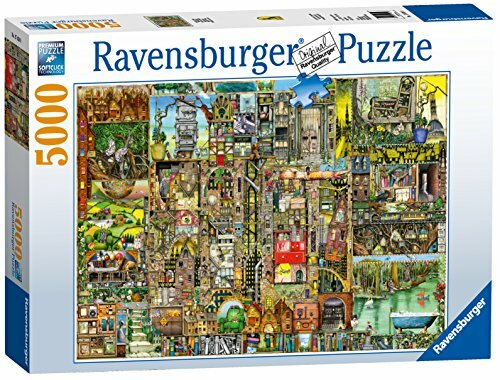 This 18,000-piece premium puzzle features Ravengurger’s own specially-engineered cardboard and a gorgeous glare-free picture. 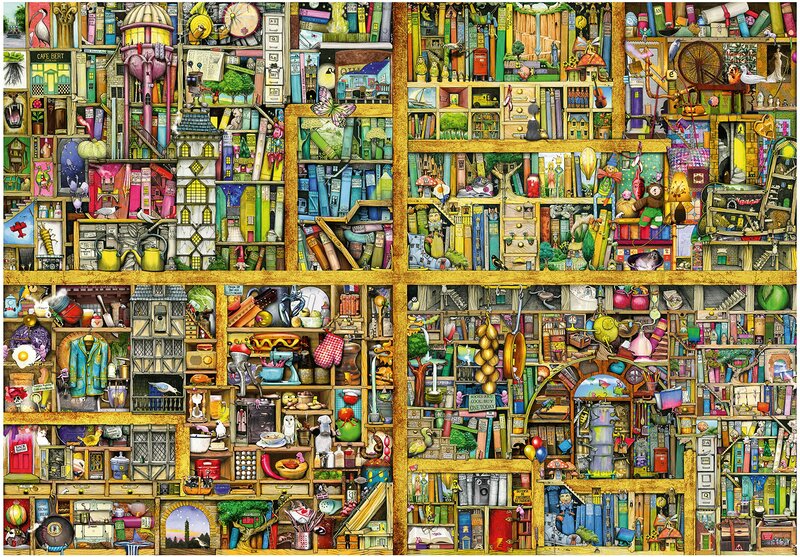 This finished puzzle measures in at 109 inches by 75.5 inches and would be an awesome project for family and friends. 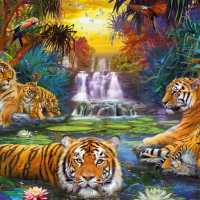 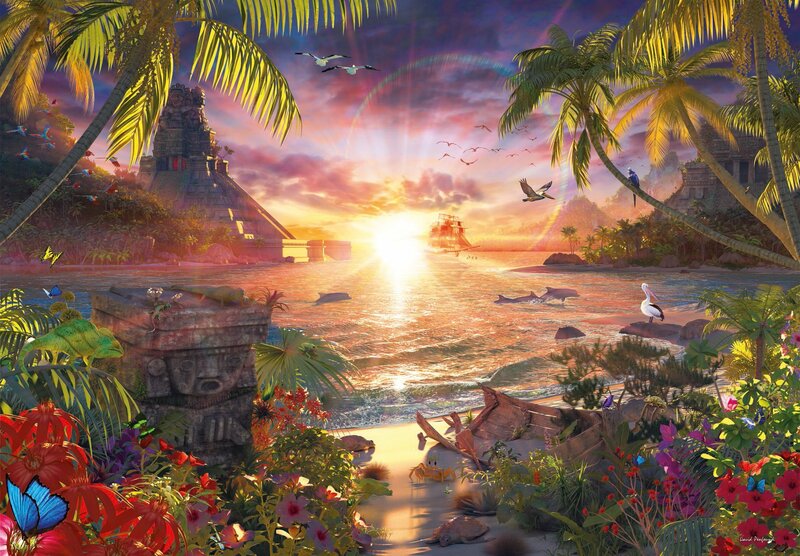 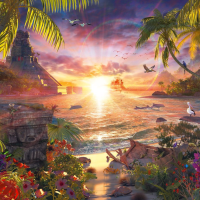 Paradise Sunset is another beautiful 18,000 piece jigsaw puzzle by Ravensburger. 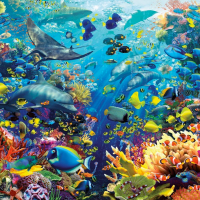 Ravens burger 9000 Piece Underwater Paradise is the kind of puzzle that you’ll have to have plenty of space for but the finished jigsaw puzzle is simply stunning. 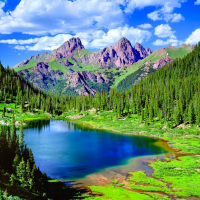 So if you are up for the challenge, Go FOR IT! 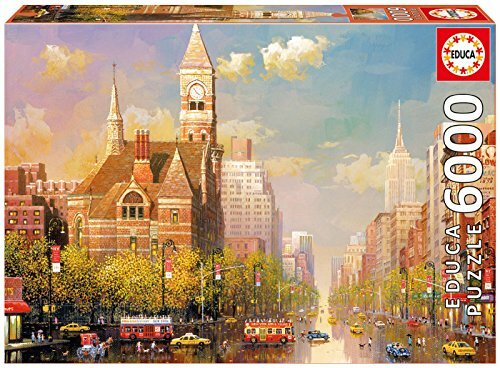 Puzzle measures 76inches by 54 inches when finished. 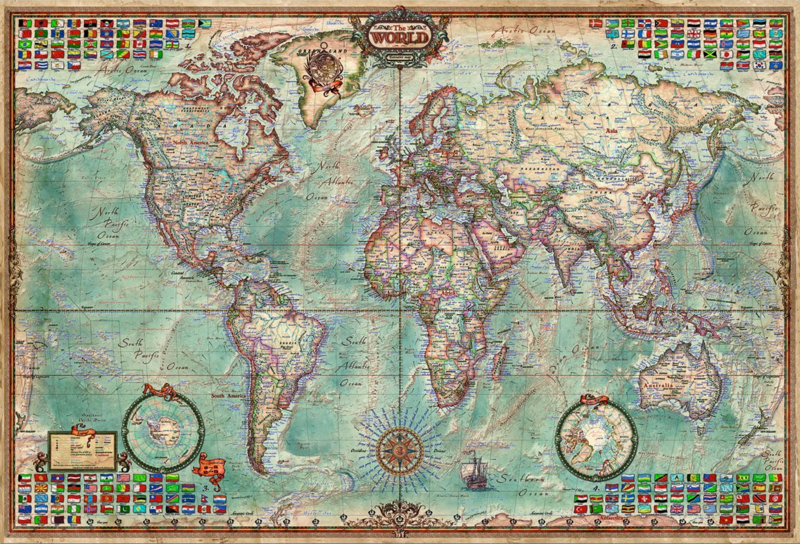 guarantees a perfect interlocking fit. 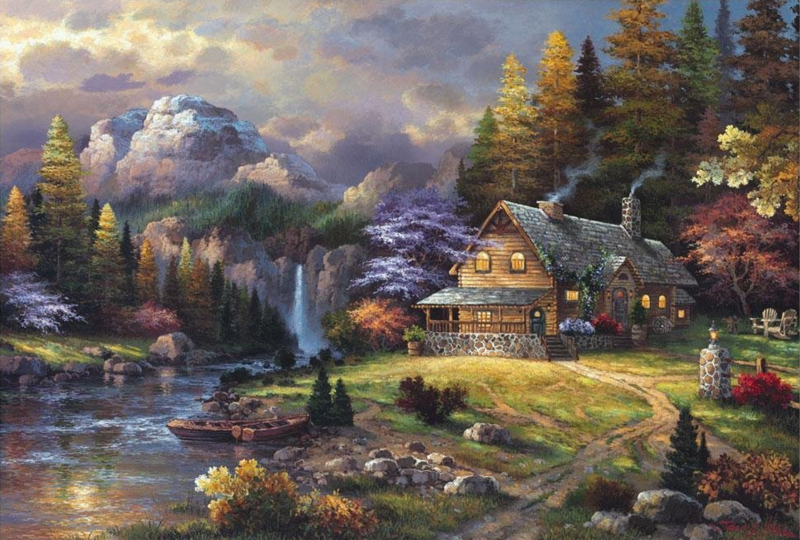 The picture on this puzzle is absolutely beautiful! 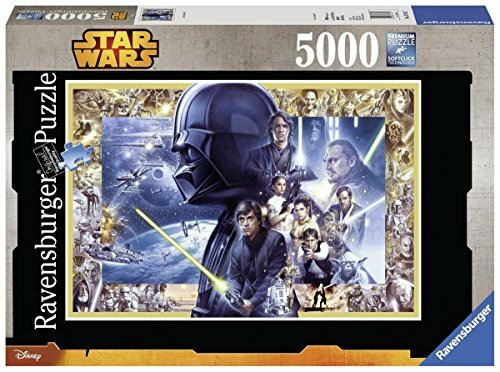 If you’re looking for a really impressive 5000 piece jigsaw puzzle. 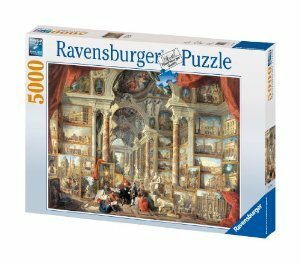 Look no further this Ravensburger The Bombardment of Algiers 9000 Piece Jigsaw Puzzle will give you an experience of working on a riveting masterpiece. 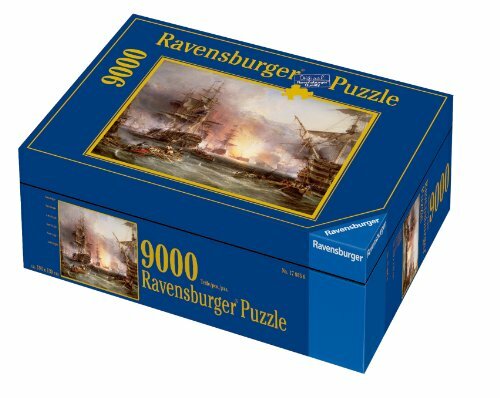 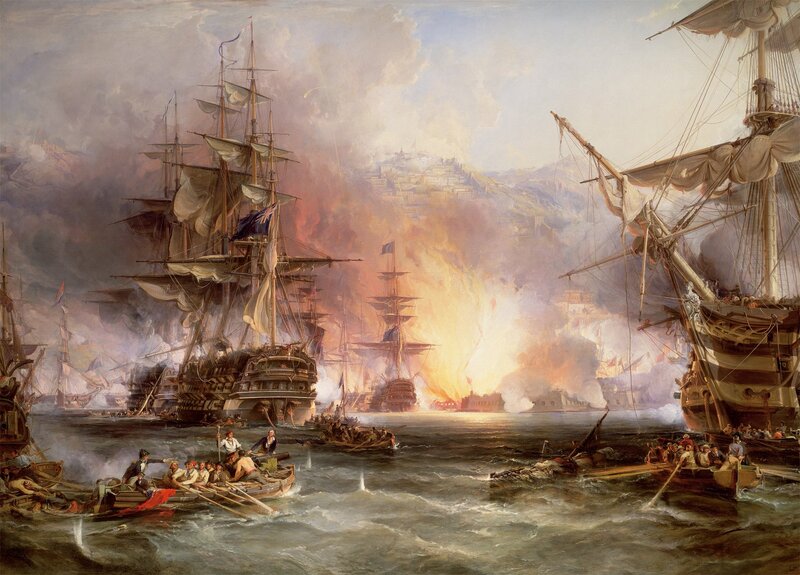 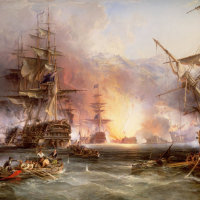 The Bombardment of Algiers is a 9000 Piece Jigsaw Puzzle by Ravensburger Puzzle Company. 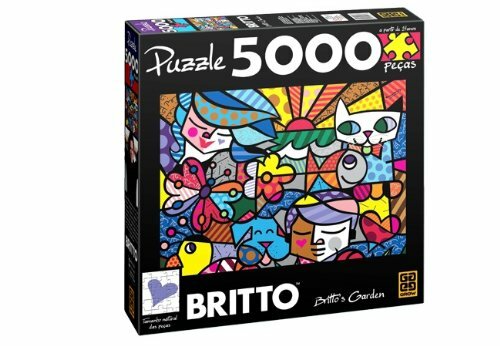 optimal interlocking fit of each puzzle piece which creates a perfectly smooth puzzle. 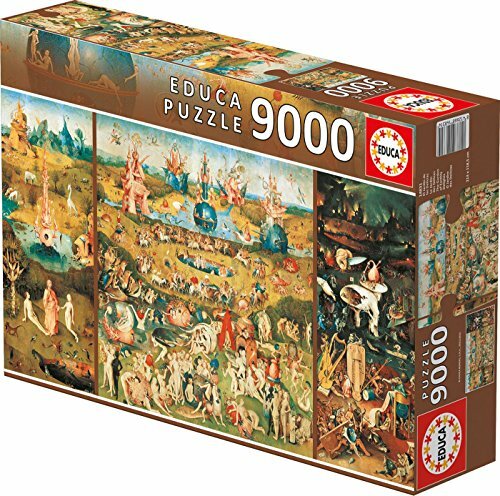 This triptych original one of Heiernymus Bosch famous works which was originally painted on oak wood is depicted by Educa on this 9000 piece jigsaw puzzle – The Garden Of Earthly Delights. 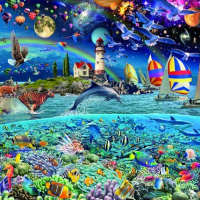 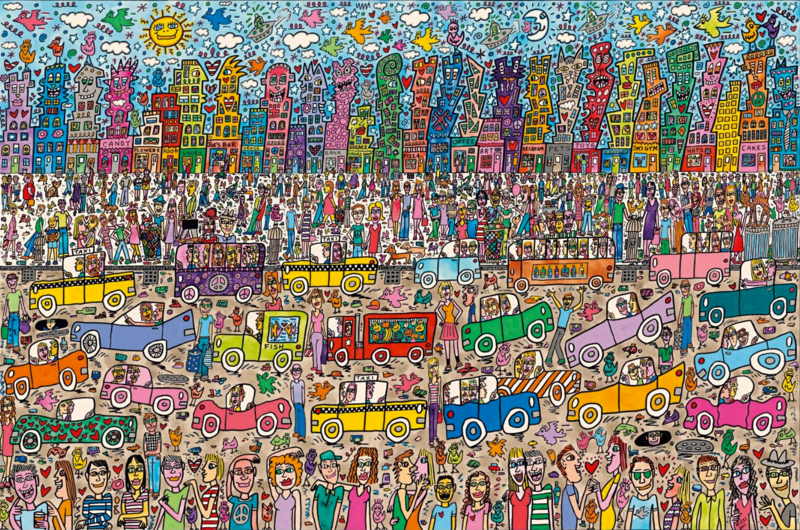 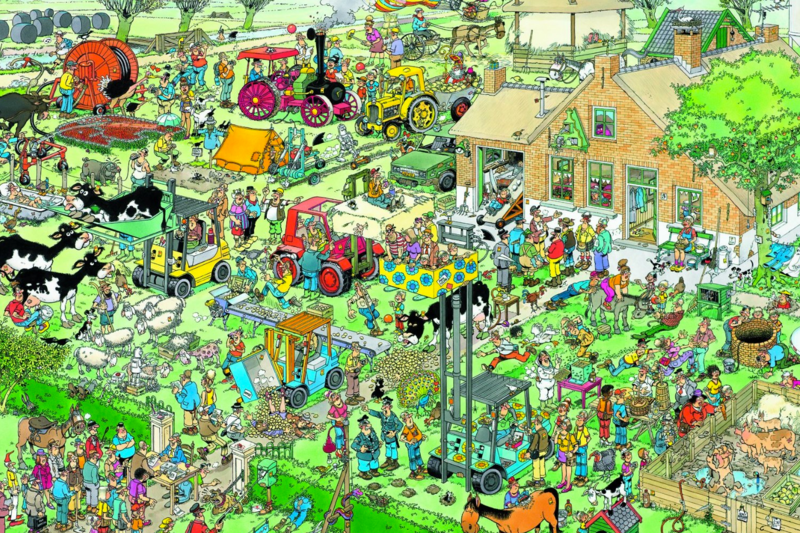 If you’re a jigsaw puzzle fan you’ll love this challenge! 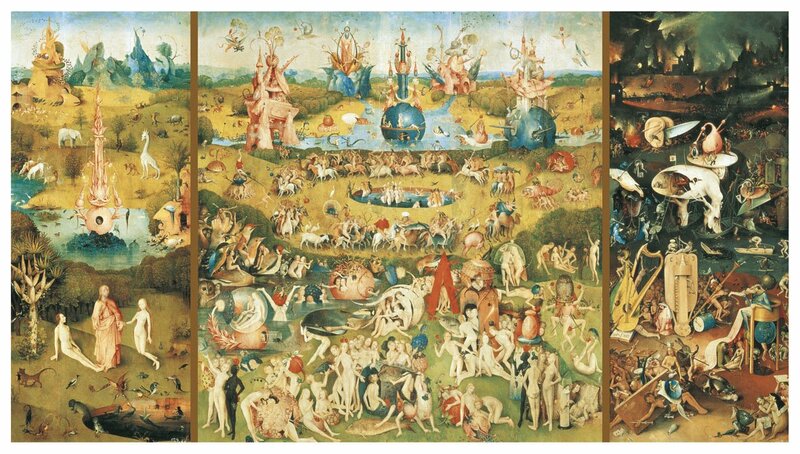 The Garden Of Earthly Delights by Educa is a beautiful 9000 piece puzzle made in Spain. 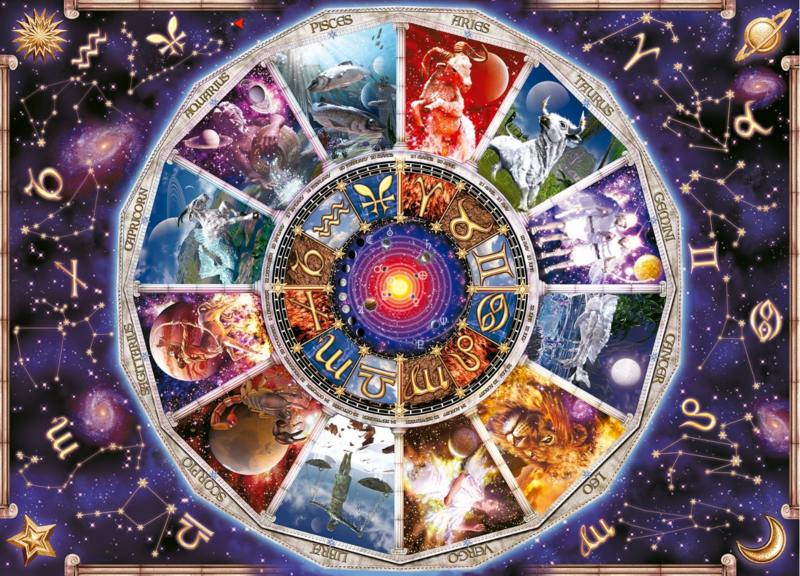 This is not a puzzle for the faint of heart, however, if your looking for a challenge of biblical proportions, this is the perfect puzzle for you. 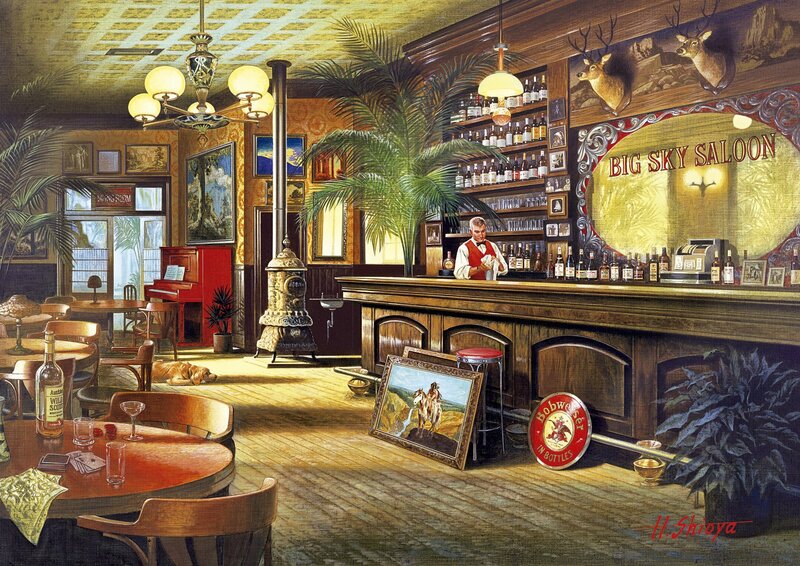 The Big Sky Saloon puzzles is not for a beginner and takes a lot of determination to finish like most of the extra large puzzles on this page,however, this puzzle has has some awesome detail and when it’s finally completed you find that it looks fantastic. 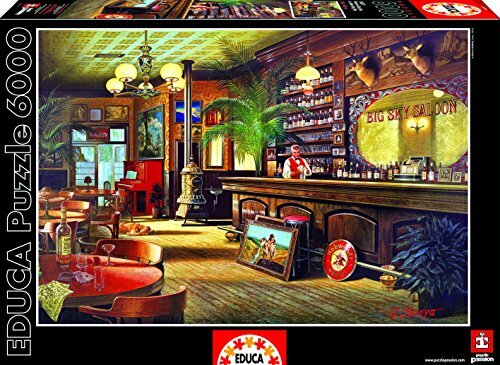 The Big Sky Saloon by Educa Puzzle company is manufactured in Spain and is very high quality. 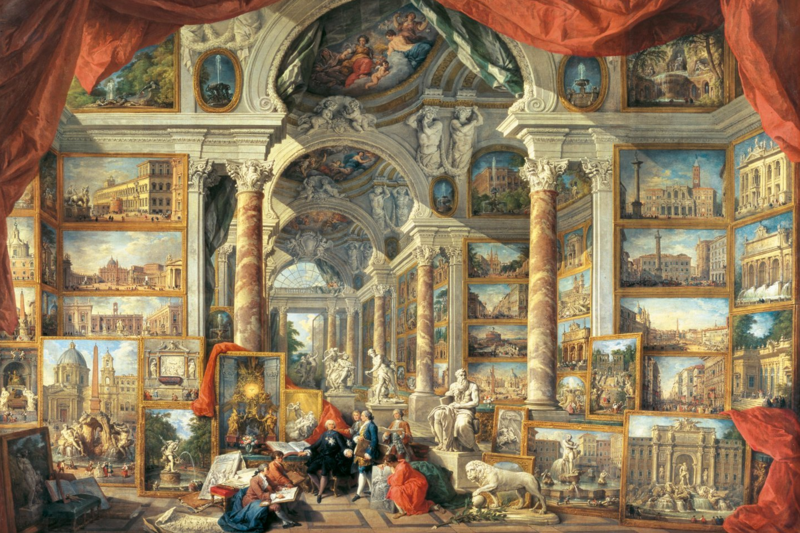 measures 61.5 inches by 42.25 inches when finished. 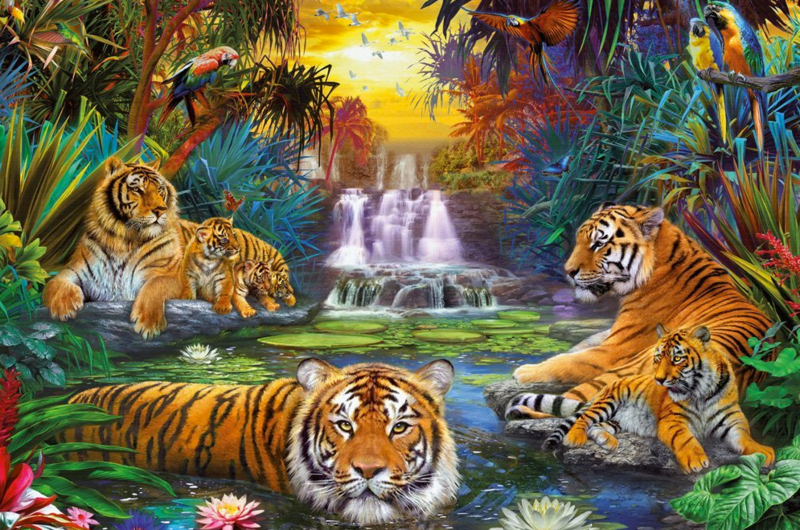 Educa are known for their high quality graphics and precise fitted pieces. 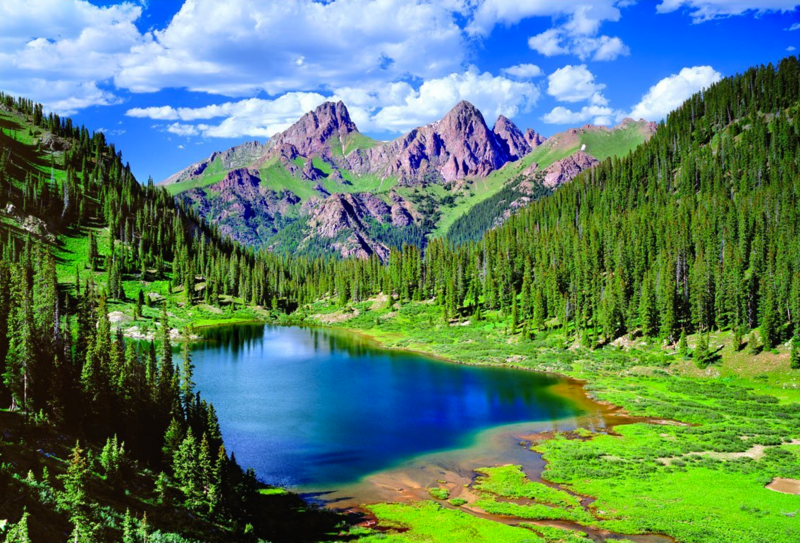 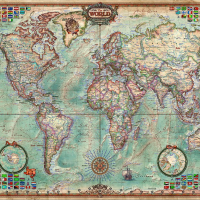 This Panoramic Hemisphere Map Jigsaw puzzle is made by the Heye Puzzle brand and is just one of the many map jigsaw puzzles in the Heye World Map series. 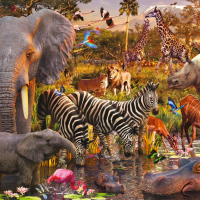 If you are still looking for more 6000 piece jigsaw puzzles then be sure to check our complete page on puzzles with 6000 pieces. 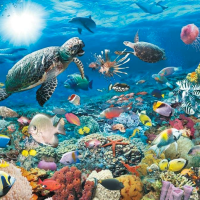 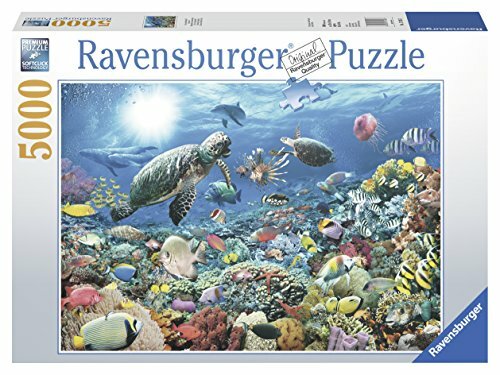 This Ravensburger 5000-piece puzzle Beneath the Sea is bigger than you might expect but you can count on it being great fun for the whole family. 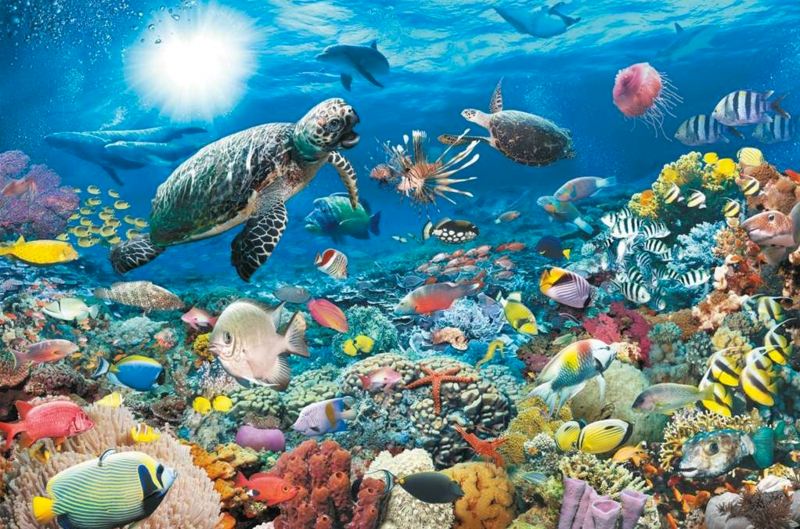 Ravensburger Beneath the Sea is 5000 Piece Puzzle is stunning when completed. 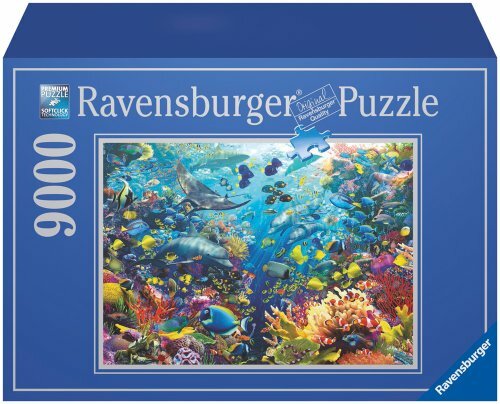 You may find that this jigsaw puzzle is difficult, not just because of the size, but because of so many how similar the colors and shapes of the pieces are, especially when it comes to the water! 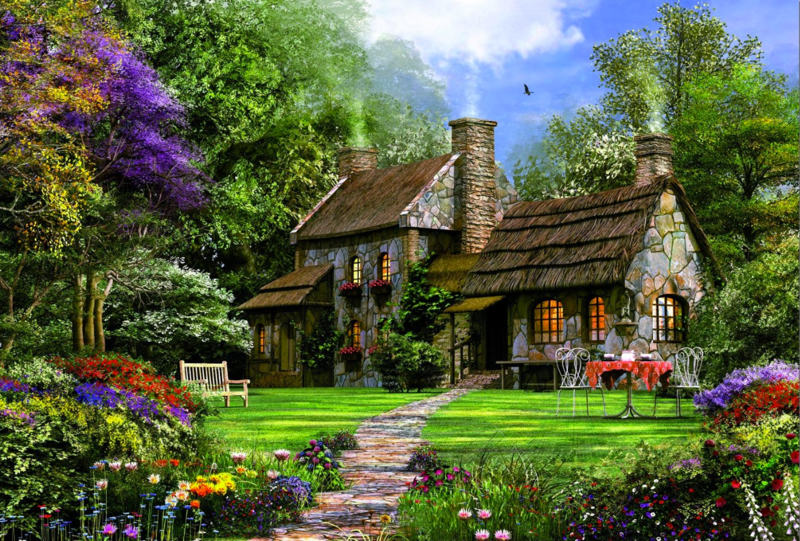 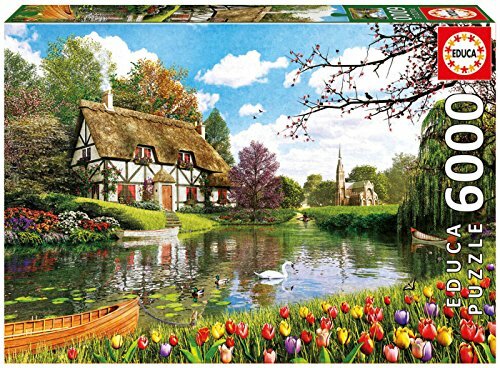 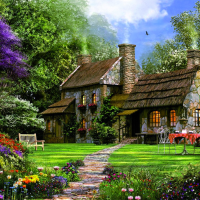 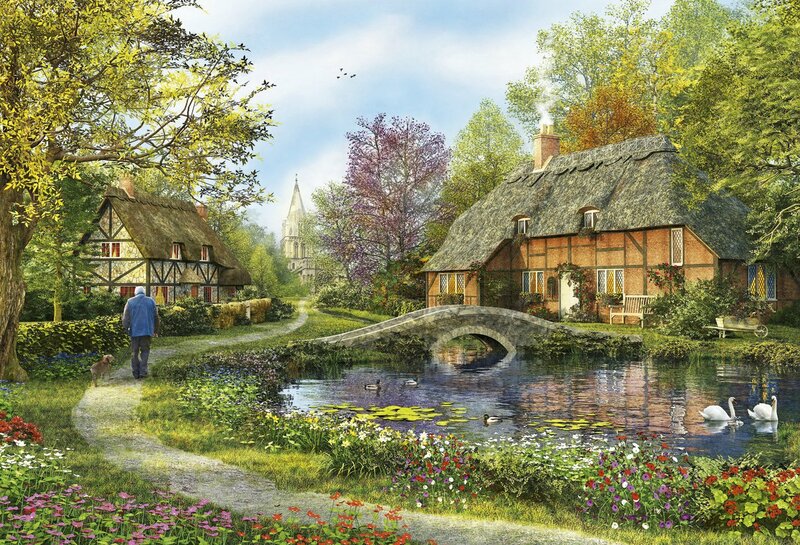 The Meadow Cottages 5000 Piece puzzle is made by Educa Puzzle Company in Spain. 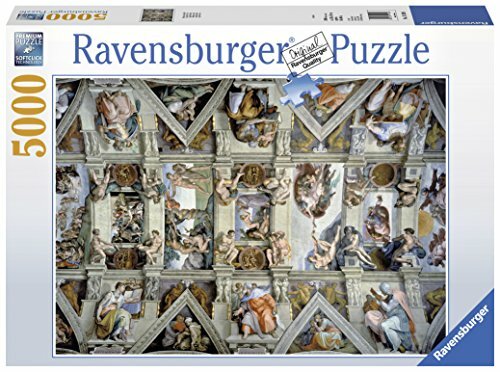 This puzzle measures 61.75inches by 42.25 inches when finished. 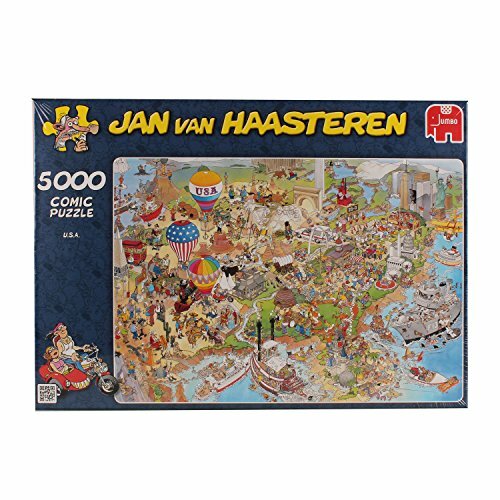 As you’ll notice there is a larger selection of 5000 piece Jigsaw puzzles available to purchase online. 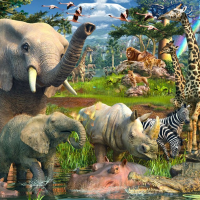 Below you’ll find a small selection of different 5000 piece jigsaw puzzles that will easily give you a bit of a challenge if you really don’t have the space to dive into some of the gigantic jigsaw puzzle that we shown above. 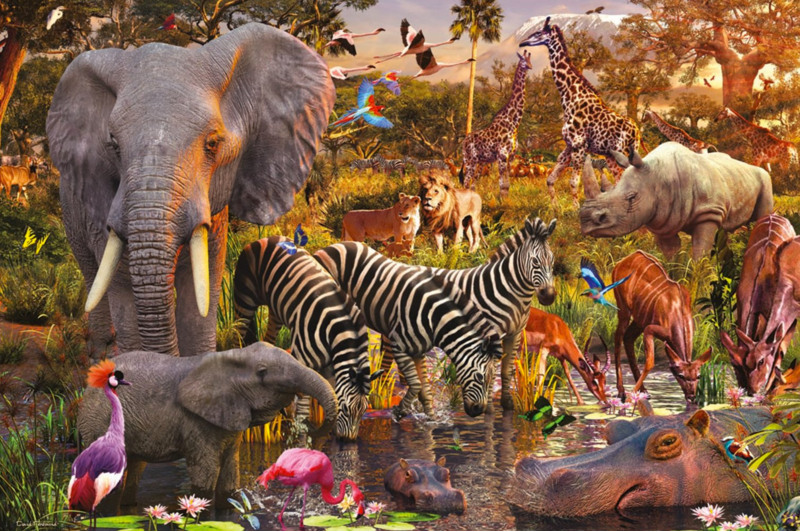 So why not try one of these 5000 piece extra large jigsaw puzzles out and see if you’re really to go BIG! 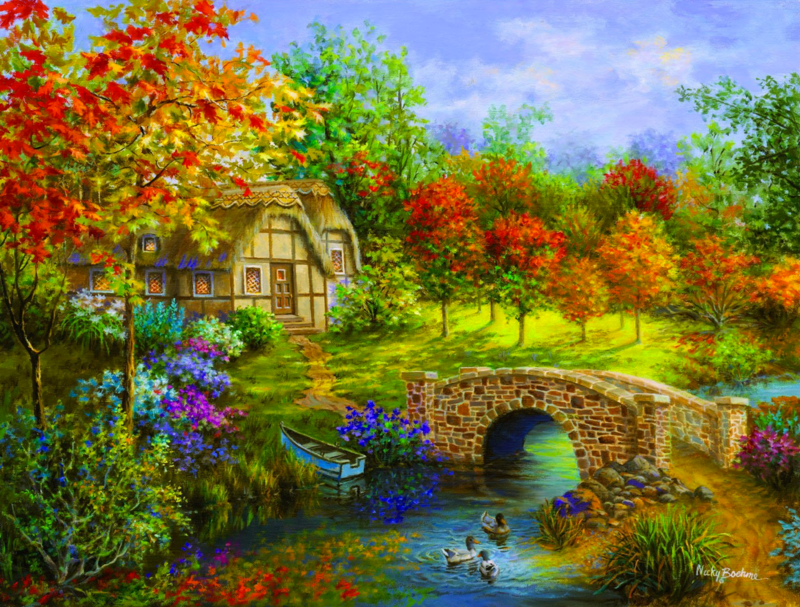 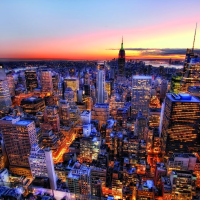 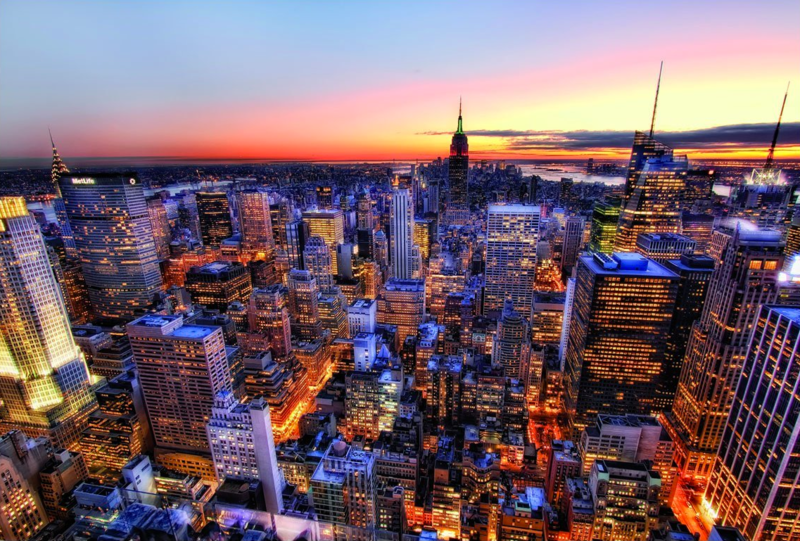 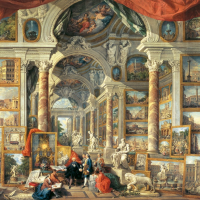 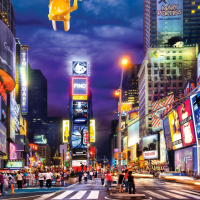 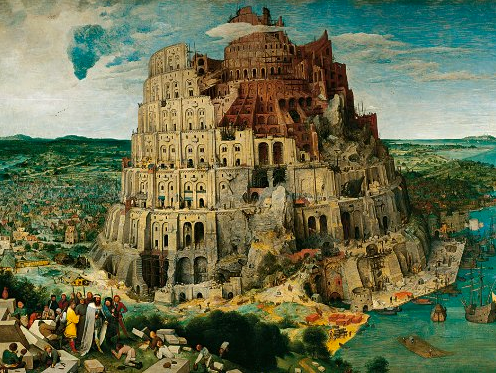 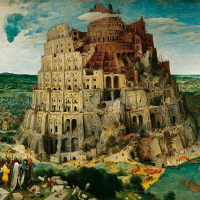 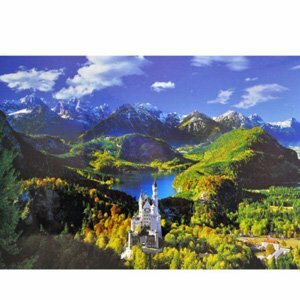 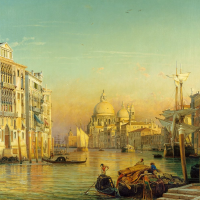 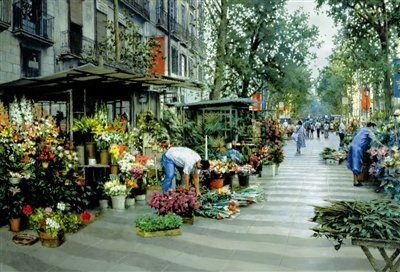 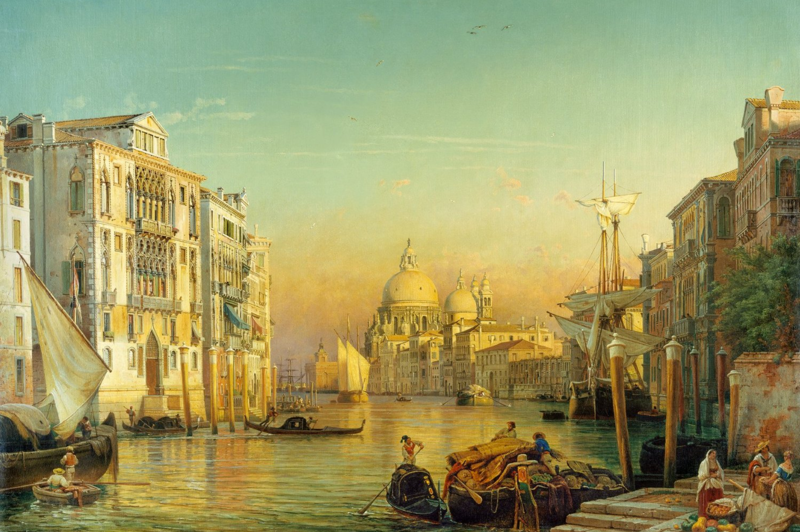 If you are still looking for a larger selection of 5000 piece jigsaw puzzles you might want to check out theses pages on our site. 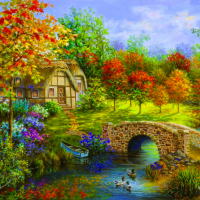 Since there are quite a few 3000 and 4000 piece jigsaw puzzles we’ve placed them on their own pages and you can find them HERE. 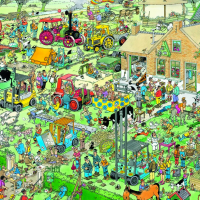 If you are curious and would like a larger view of at what these puzzles look like then click on the image below, however if you you want more information on each individual puzzle than CLICK the Link below the image and you’ll be taken to a new page on this site where you will get a full description. 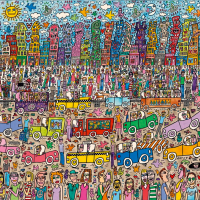 CLICK on each individual gallery image and it will open into a larger picture. 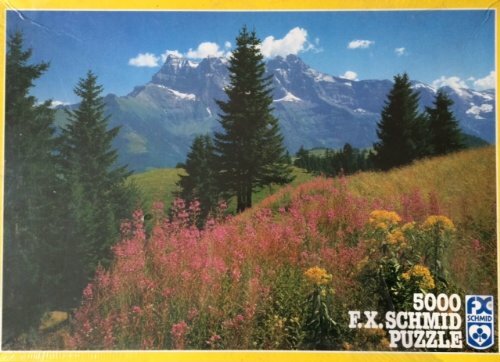 If you want more information on the puzzle itself than CLICK the title of the puzzle and you will be taken to a new page that will let you know more about the puzzle. 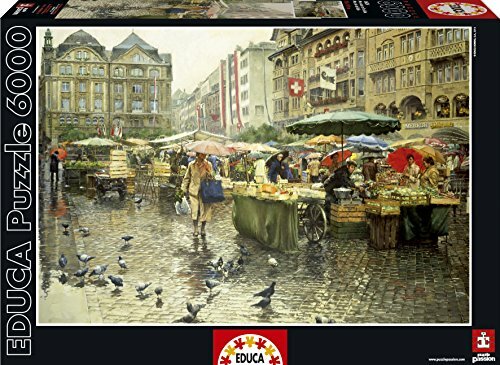 If you like the idea of a challenge and you’re a avid jigsaw puzzler than you ought to have a look at the full collection of LARGE JIGSAW PUZZLES at a Great Price Click Here! 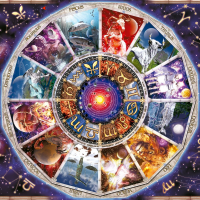 If you would like more information on some of the extra large jigsaw puzzles from this page Click on the Link below.